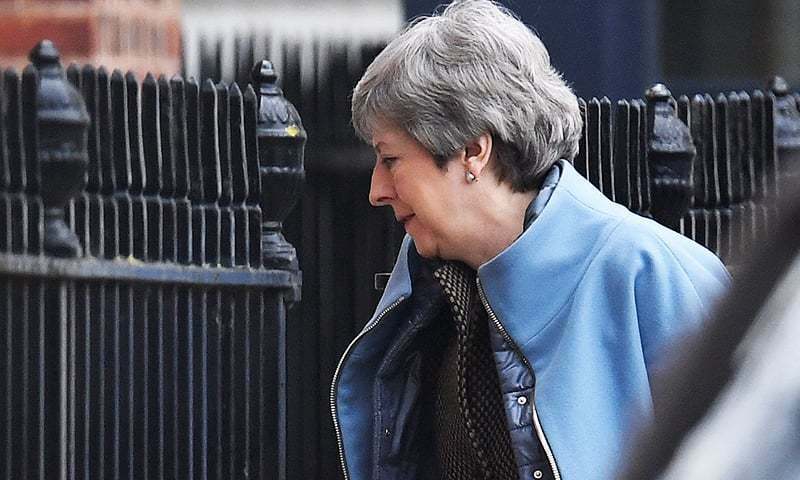 Theresa May's hopes of finally passing her Brexit deal were dealt a fresh blow on Monday when it emerged that the British prime minister will not be allowed to put the agreement before MPs for a third time this parliamentary session unless there are fundamental changes to it. If she cannot get the deal through, May could seek a long delay to Brexit, but this will need the agreement of all remaining 27 European Union countries. "If the Government wishes to bring forward a new proposition that is neither the same nor substantially the same as that disposed of by the House on March 12, this would be entirely in order", said Mr Bercow. "What the Speaker has said in his ruling is there needs to be something that is different. This clearly increases the chance of a no deal Brexit but from a legal perspective, the extension can be granted right up until the deadline". "If there is no decision, the date of March 29 comes and then it's a 'no-deal, '" said French European affairs minister Nathalie Loiseau. The EU's most powerful leader, German Chancellor Angela Merkel, warned the clock was running down, saying: "I will fight until the last minute of the time to March 29 for an orderly exit". "This is a question for the British authorities", she said.